Insurers May Cover Costly Hepatitis C Drugs Only For The Very Ill : Shots - Health News Many insurers are restricting access to new drugs that are easier to take and that promise higher cure rates because the price tags can run $95,000 or more. Gilead's once-a-day pill for hepatitis C is the latest expensive and effective treatment that insurers say is a business challenge. In the past year, hepatitis C drugs that promise higher cure rates and fewer side effects have given fresh hope to millions who are living with the chronic liver disease. But many patients whose livers haven't been significantly scarred by the virus face a vexing reality: They're not sick enough to qualify for the drugs that could prevent them from getting sicker. An estimated 3.2 million people are infected with hepatitis C virus. Many public and private insurers are restricting access to treatment to those who already have serious liver damage. The treatment cost per patient is roughly $95,000 or more for a 12-week course of treatment. Other strategies that limit access include restricting who can prescribe the drugs or requiring early proof the drug is working before continuing with treatment. In addition, many state Medicaid programs require that patients be free of drugs and alcohol for a period of months before they can get the hepatitis C drugs. "Everybody is trying to figure out how best to deliver needed treatments without blowing out resources because of the cost," says Brendan Buck, a spokesman for America's Health Insurance Plans, a trade group. AHIP has been an outspoken critic of high prices for specialty drugs, including those for hepatitis. 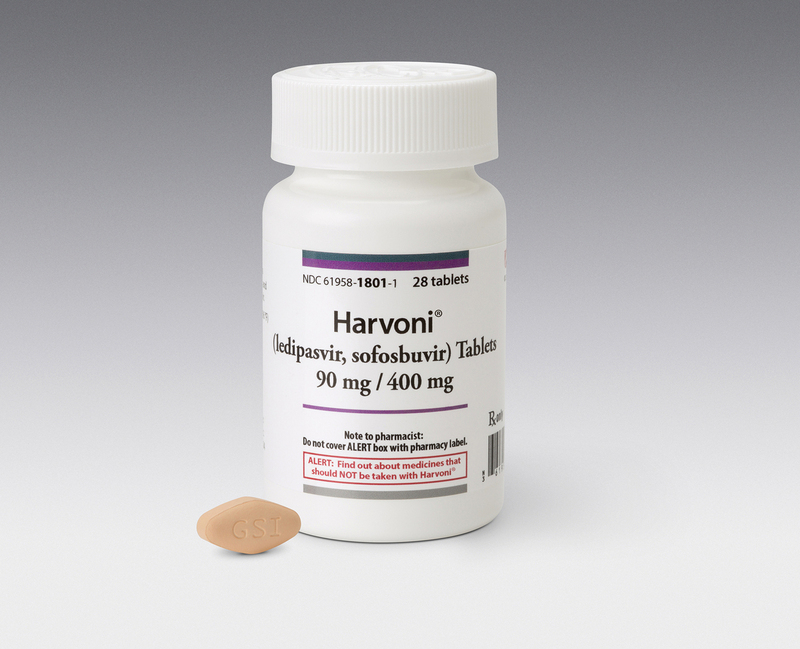 Gilead Sciences, maker of hepatitis C drugs Sovaldi and Harvoni, said no one was available to comment by deadline. But the company provided information about pricing and a policy brief that states, "The price of Gilead's hepatitis C treatments reflects the significant clinical, economic and public health value of these drugs, and is comparable to, or in many cases less than, the cost of older, less effective regimens." Insurers base their coverage decisions in part on practice guidelines issued by clinical groups such as the American Association for the Study of Liver Disease,. which recommends giving patients with advanced liver disease priority in treatment. "Limitations of workforce and societal resources may limit the feasibility of treating all patients within a short period of time," the organization said in a statement when the recommendations were announced. Paul Walker is one of the healthy ones. Diagnosed with hepatitis C in 1998, the 53-year-old Tyler, Texas, resident had a biopsy this year that showed only slight evidence of scar tissue that can cripple the liver, eventually resulting in cirrhosis or liver cancer. Walker's doctor prescribed Sovaldi, a pill approved by the Food and Drug Administration in December that can cure the chronic infection in 12 weeks, significantly faster than the nearly year-long course of treatment often required under older drug regimens. Sovaldi is taken with another hepatitis C drug such as interferon, which can cause flu-like symptoms, nausea and depression and which adds to the cost. Instead of interferon, Walker's physician prescribed Olysio, another recently approved hepatitis C drug that is popular among physicians. But its use in combination with Sovaldi for cases like Walker's hasn't been approved by the Food and Drug Administration. Walker's insurer, Blue Cross Blue Shield of Texas, denied his physician's request for the drug. The insurer cited the off-label use of Olysio in its denial. "We are committed to providing our members access to quality, cost-effective medications," Dan McCoy, chief medical officer for Blue Cross Blue Shield of Texas, said in a statement. "Our coverage criteria is based on clinical trial data, published literature and recommendations from a wide variety of medical specialty societies." The insurer didn't respond to a request for specific coverage criteria. In October, the FDA approved Gilead's Harvoni, a daily pill that doesn't have to be taken with another drug. A typical 12-week course of treatment will generally cost about the same as for Sovaldi used with another drug (unless it's Olysio, which can push the total treatment cost to $150,000 or more). Patients like Walker might be cured in as little as eight weeks using Harvoni, however, slashing the cost by a third. Walker says he hopes he'll be approved for Harvoni. "Until I actually get the medication and am cured there's going to be a lot of anxiety," says Walker.